7 brushes (3 face, 3 eyes, 1 lips). 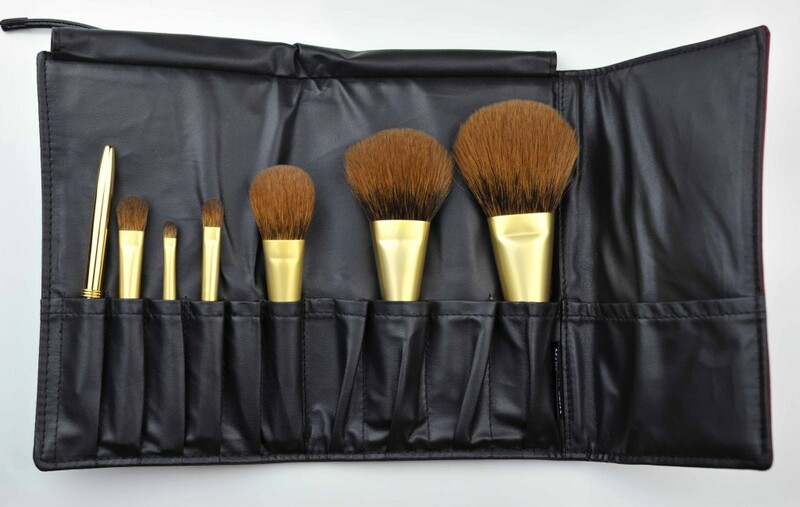 An expensive set it is… (approx 983 usd) but with a clever combination since this will allow you to create a complete look, I appreciate that it concentrates on brushes that we often use instead of another brow or spooly brush that we don’t need or want to be as soft and exclusive. If you are still with me and haven’t clicked away when you saw the price 🙂 then you will see here some pics and my thoughts on this very special set. It feels like owing an expensive painting, at this price we are not talking make-up anymore, we are talking art. Despite the high price, I don’t feel like I am paying for a luxury brand’s name, I feel like I am paying for something “kawaii” and that whoever created this, he or she wanted it to be loved for its beauty. 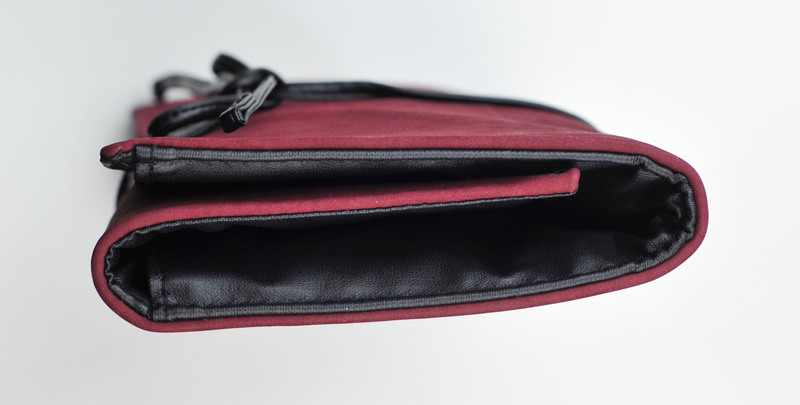 The price tag looks obvious: there is both huge work and expensive material. I was not tempted by the set a few months ago, when I saw Canadian squirrel hair brushes in person I thought it did not look as nice as grey or red, or even goat. The color of the hair is goldish caramel and black, at first you think you can not distinguish it from Pine squirrel but yes you can easily once you see both side to side, also when you use them you can clearly feel the difference, the canadian offers you a lot more control and efficiency for blending. Actually more than any other variety of squirrel hair brushes and it is the most praised of them all. Note: Some squirrel brushes have very thick “rougher” bristles (Nars for example) so I am talking about thinner ones like Chikuhodo, Koyudo or Hakuhodo. I did not want this kind of brushes before, now when I can find one, I get it. You will often see them in sets but some brands offer them separately and I am trying to find a few of them in case someone is interested but don’t want or can afford a full set. 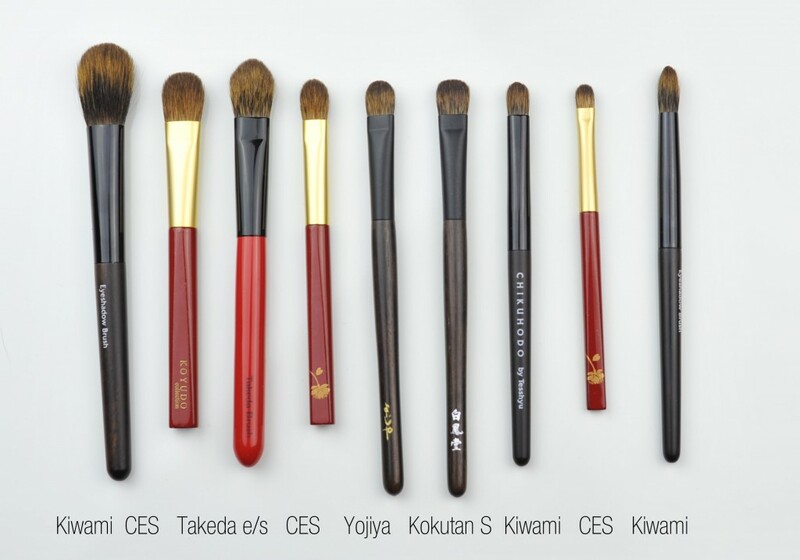 It all started with the Chikuhodo Kiwami, I really wasn’t attracted by it, actually when I saw it in Chikuhodo’s office my first thought was that I found it was a shame they did not use a more attractive hair for those expensive brushes. Very recently I purchased the Chikuhodo Kiwami despite not being that thrilled at first but today I am in love with these two sets, the Kiwami and the Echizen and I will try to show you pics of both together. 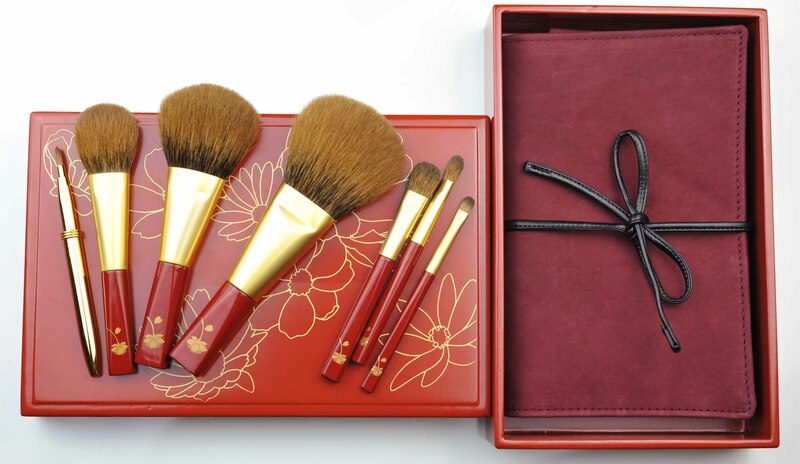 I am not disappointed, the brushes are much denser than the Kiwami so you get a generous set with a beautiful unique design, the handles are shorter than the Kiwami and I prefer longer handles so that’s why I am more tempted towards the Kiwami. If you consider getting this set, you have to keep in mind it is a collector item, it doesn’t have the enduring capabilities of other series and they have to be treated with care. 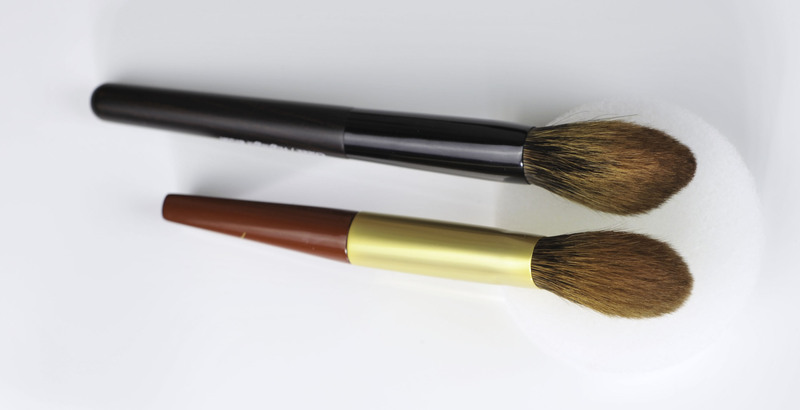 You don’t need to wash them too often, I’d say 3 times a year it would be enough for the big brushes (but it depends on the usage and the preferences), just wipe them with a microfiber tissue in between uses. 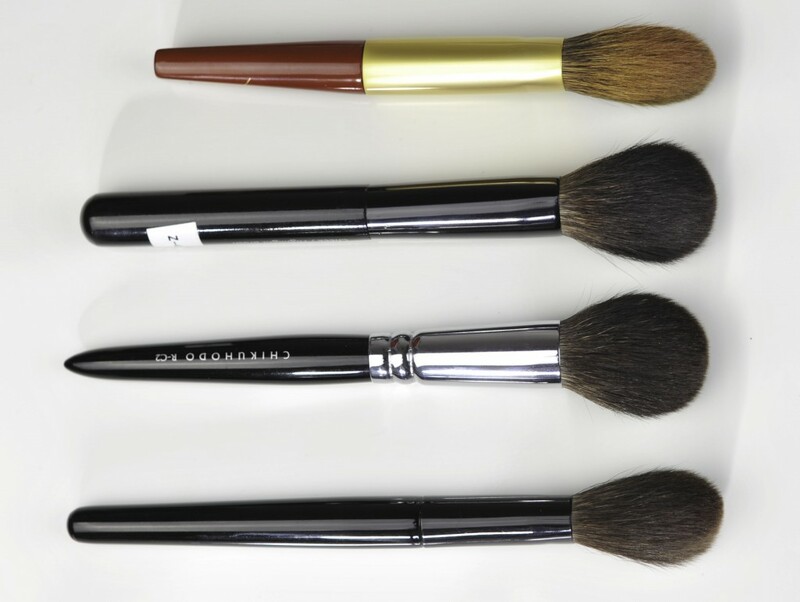 I wash these with baby shampoo, as mild as possible, don’t use conditioner since it will not be reduce the efficiency of makeup brushes in general and their blending power. I wash the little ones more often, every 2 weeks and the lip brush every time I use it. Be very careful not to leave water on the head for a long time and remove all excess before laying them flat to dry. I should receive shortly some information about the painting on the handles and I will update this post, I just don’t want to wait any longer 🙂 therefore this review focuses on usage and comparisons mostly. Compared to the Face powder S, this one is bigger but less dense and less directional. I don’t use it from bronzer or powders when I want medium to heavy coverage because it’s way too floppy for that, this is more for setting the foundation with powder, removing excess powder away, or for all over glow, this L version will be gentle and will not alter whatever application you have underneath. 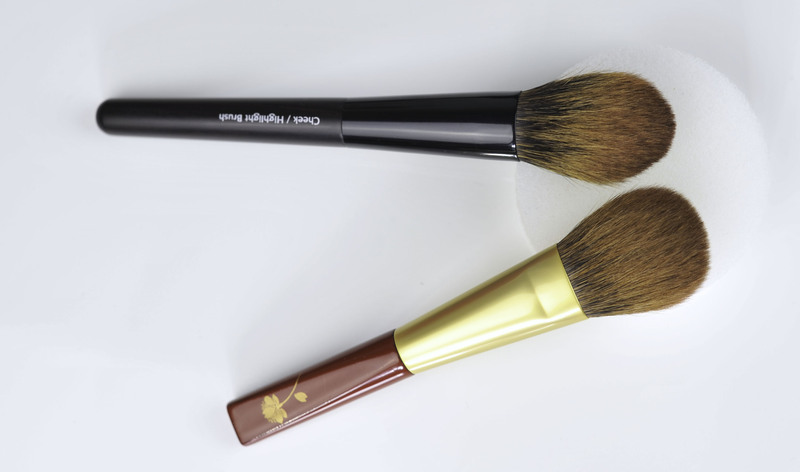 It is stronger than similar grey squirrel brushes that have same size and density because this hair is just more powerful for blending, so if you had to compare similar brushes, canadian hair will definitely be more efficient. I could use it with bronzer if I had to, no worries but for that I prefer the smaller version which is denser and has a more adapted shape for that. 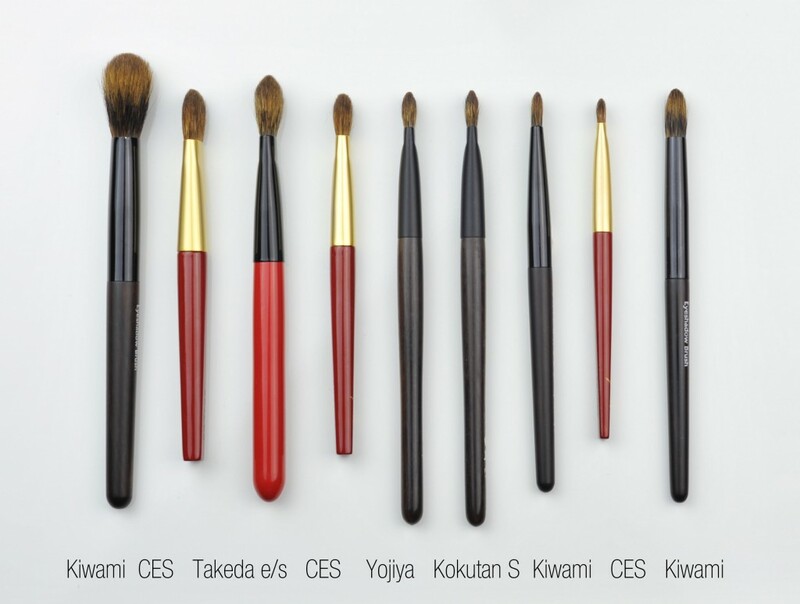 The other Kiwami brushes look tiny in comparison 🙂 less hair, smaller size, and different shapes, so if you happen to want both sets, at least you will not be replicating the brushes. 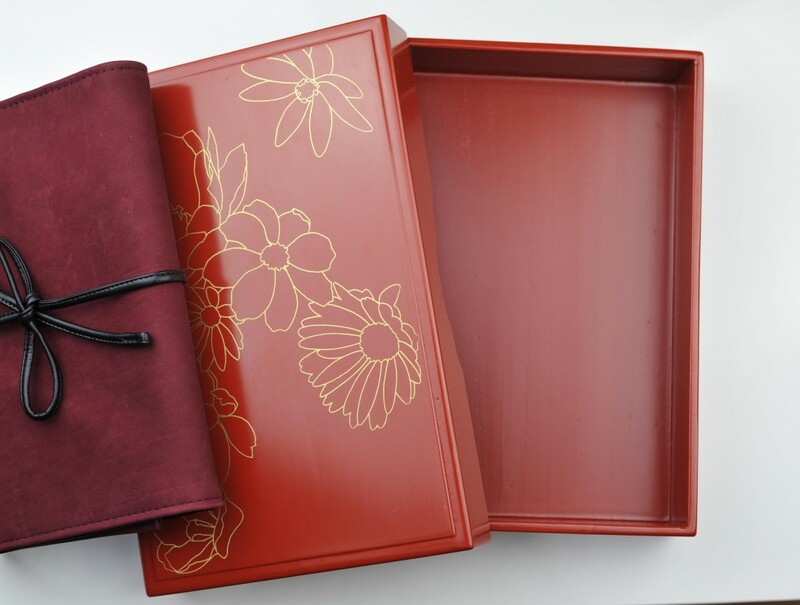 The Kiwami are the ones with the dark handles here, the two red and black on the right are the Takeda Powder and Highlight with same material, in my opinion the Takeda are too expensive for what they are so I’d rather save and splurge on one of the other sets (Chikuhodo or Koyudo). The very big difference between the Chikuhodo Kiwami and the Koyudo Echizen brushes is that the Echizen face brushes are firmer and denser, this will give them more power for buffing and for stronger applications and obviously it should make them more expensive, but not really…you get “nice” value actually considering this is very rare. You may be wondering what set you should take if you had to choose between them. That is the most painful choice to do and it has to come from the heart (and the guts). Think which one would make you more sad if you missed on it and… take that one. Kiwami pros : unique head shapes, beautiful brushes, despite being less dense they are super efficient. See how big this face L brush is, covers nearly half of the face in one swipe 😀 It doesn’t feel soft like grey squirrel but it is clearly more efficient. Please have a look at the Group picture with Echizen, Kiwami, Takeda above to see how it compares in size to the others. 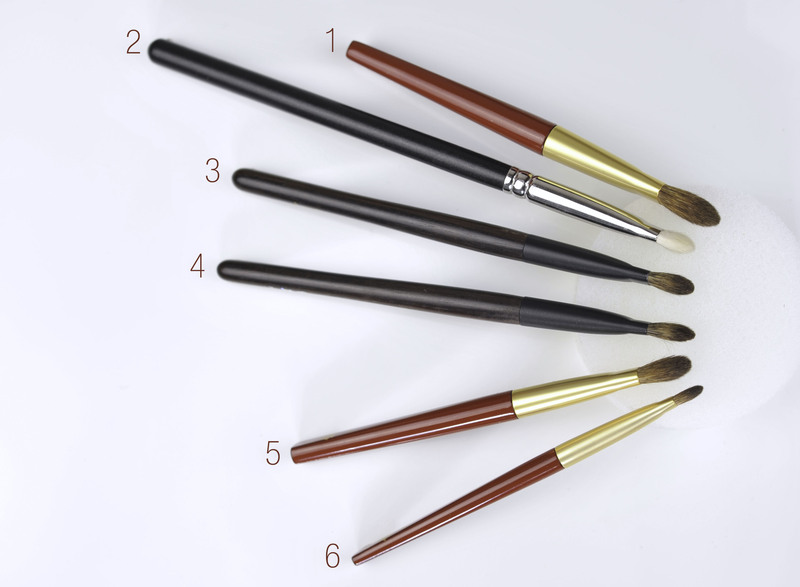 When you first look at these brushes they nearly feel “rough” in comparison to grey squirrel brushes and they don’t look very appealing but to be very honest with you, when I tried them my jaw hit the dresser, “did it do that? ?” BINGO! that’s what I want from an application, efficient and effortless, just like if they were doing all the calculations by themselves, a brush with a cpu! (IT girl here: central processing unit, it’s the brain of your computer, capable of that many calculations. 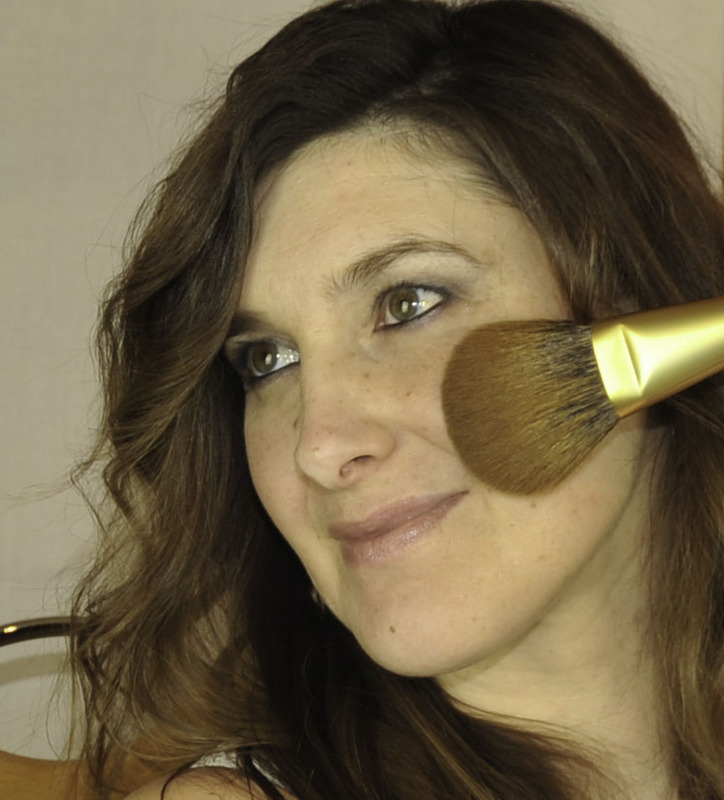 I use it also with blush when I want the blush to be more dimensional and not only concentrated on the center of the cheeks, a neutral blush applied on a much larger zone looks stunning and this brush is the right size for that. Perfect size for a blush brush, it is flat but it has a lot of density and since it’s quite firm you can use the top of the surface of the brush to apply the blush and not only the flat sides. I like to use it at a 60° angle and buff the product with light strokes. 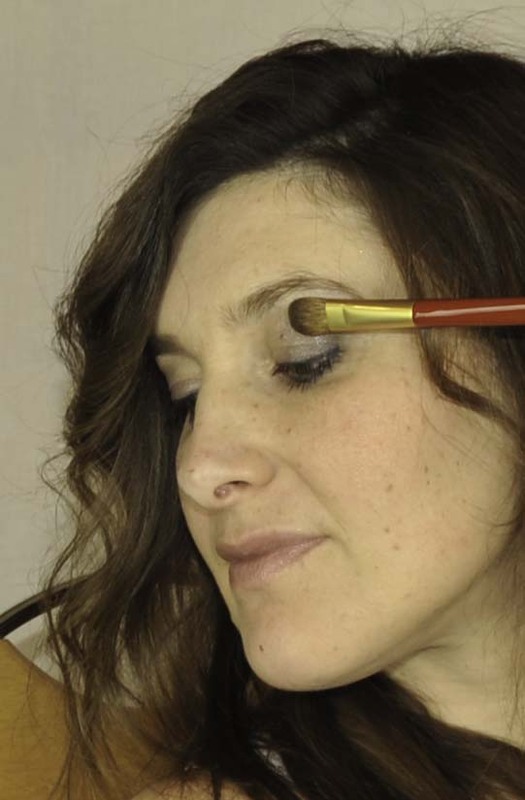 This brush picks the most stubborn blush, it’s the most well-behaved brush ever, does just what you want it to. Maybe it will take you a few tries to understand how it works. 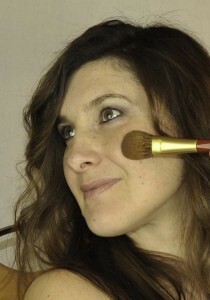 If the blush is very pigmented, for example red bright blushes, you swipe the brush once on the product then place and buff, don’t go back to the blush, just continue buffing gently, the color will build up and reveal gradually leaving you a big margin to stop when you feel the intensity is reached. Leaves no edges, blends as it applies. If you need more product, pick up more product and build it but it takes just a couple of applications to understand how it picks the products and how it builds on the skin, it will also depend on the technique, the best I found for me is to use short back and forward “ovaly” shaped strokes rather than long straight ones.. Start at the center of where you want the product then blend in oval back and forward motions outwards, the finish will look much more natural but this is something I do with any type of brush anyway. just perfect size for building the color from a central point! Perfect size for me, does not poke at all of course, it is not as soft as grey squirrel but it is not rough at all, much softer than goat hair unless we are talking about Wayne Goss recent goat brushes, which are as soft as these if not softer!! This brush is in between a crease and a lid shadow, multi-purpose, I would say that it acts more like a Mac 239 than a Mac 217 but it’s a bit in between, it is directional so the crease application might be quite defined, when I use dark colors, it’s done with precision, which is great depending on what look I am going for but I still can control it with no problem at all. 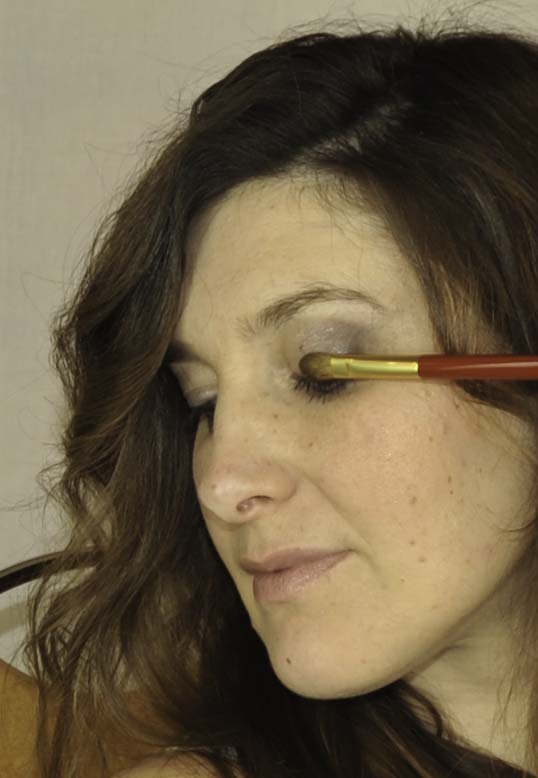 If I use shadows that are slightly darker than my skintone to just sheerly define the eyes, the big benefit is that you will work super efficiently and you don’t need to layer again and again, even with light browns. 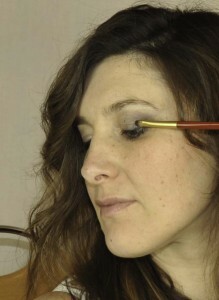 Also fantastic to apply color on the mobile lid or just on the center of the lid, since it’s firm you can choose to work with it exactly where you want to, I often use it for the outer V with a very dark shade. It is small, precise yet soft so no worries to use it around your eyes if you have delicate skin. I use it either for placing shadow on the lashline or near the tear duct. It has enough thickness at the top to smudge and enough body to apply shadow with the flat side if you want, it’s even big enough for an outer v application (it is for me!). When I apply powder liner on the bottom lashline, I do it with the thin side but then I twist it and drag it along with the larger side (perpendicular) to diffuse and blend out. I very much prefer heavier and sturdier brushes but did not encounter an issue using it, I still can hold it properly. If you have to go close to the mirror this shorter handle will make it easier without knocking on the mirror as you come closer. 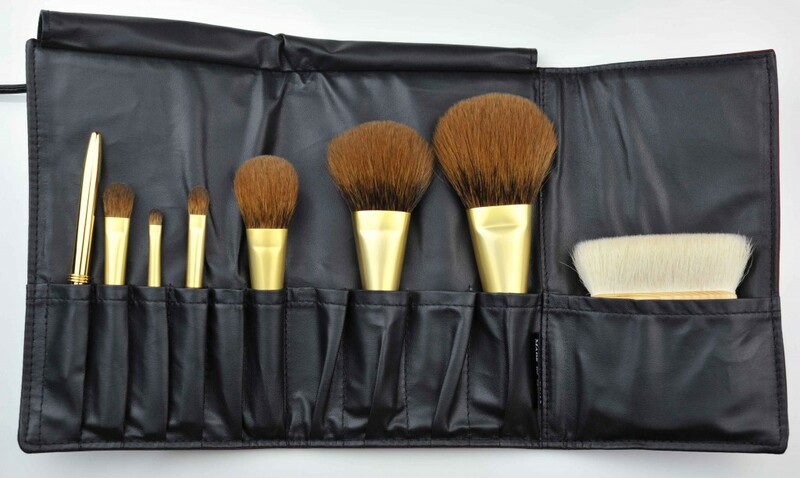 I started to look for similar brushes, see if I could give you some recommendations for individual purchases that resulted less expensive than a whole expensive set like this one. I am still looking for more but so far I can show you a few. The Yojiya and Hakuhodo Kokutan S are very similar to each other but the Kokutan I have here is more square shaped, in terms of softness and efficiency they are similar, I find the Echizen to be thicker and more efficient though. The Kokutan and Yojiya are thinner and shorter than the Echizen eyeshadow S, they both deliver a less bold, more natural and more diffused application than the Mac 239, they also feel softer. 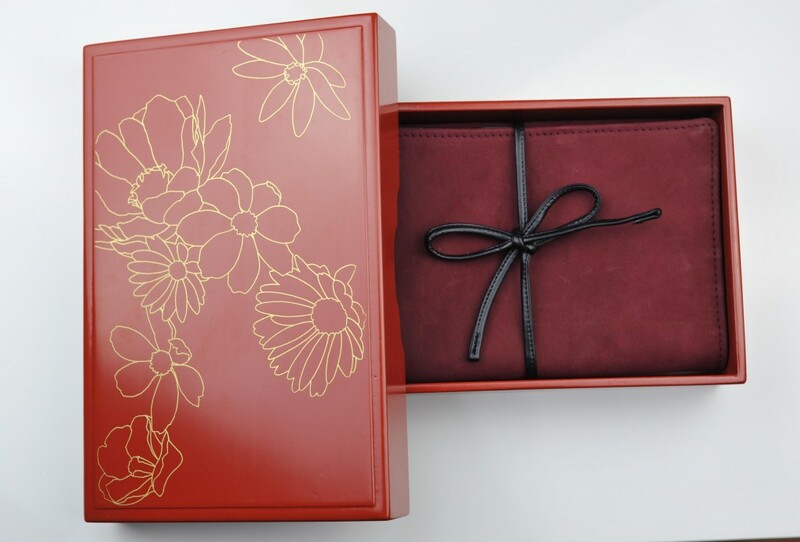 It is very similar to the other Koyudo lip brushes if you own one, but you will get a higher quality and heavier case. This gold one doesn’t have a logo on it, just plain gold coating. I hope I will be able to share more info on the set soon but hopefully this gave you an idea why I love this material, but as I said, I’d love to read your thoughts too! KOYUDO – CES Echizen set was last modified: November 12th, 2014 by Sonia G.
Go order the full set go go go ! Ok I will bring them to our smuty brush party and you will be bancrupt AFTER the meeting so better safe some money now ! oh yes Kashoen, I’ll go pay a little visit too… loving their red/black brushes, I know it’s goat hair but I use them so so often! I think I have totally compensated the use versus price!! I like the shape of the brush handle so with a more simpel less expensive paint ?? This is just art !! I cant believe they can make these when you look at the normal range. I think we cant pay them though they are not for sale. 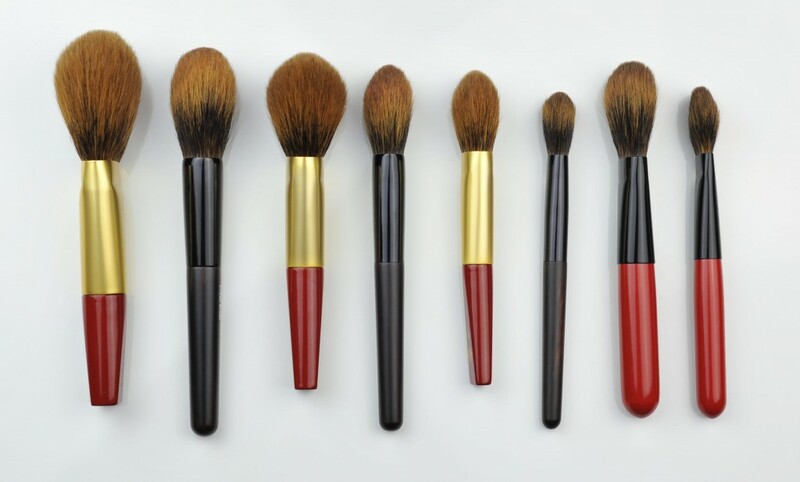 Its like these Artist made brushes from hakuhodo they also were around 600-800 or more per piece. 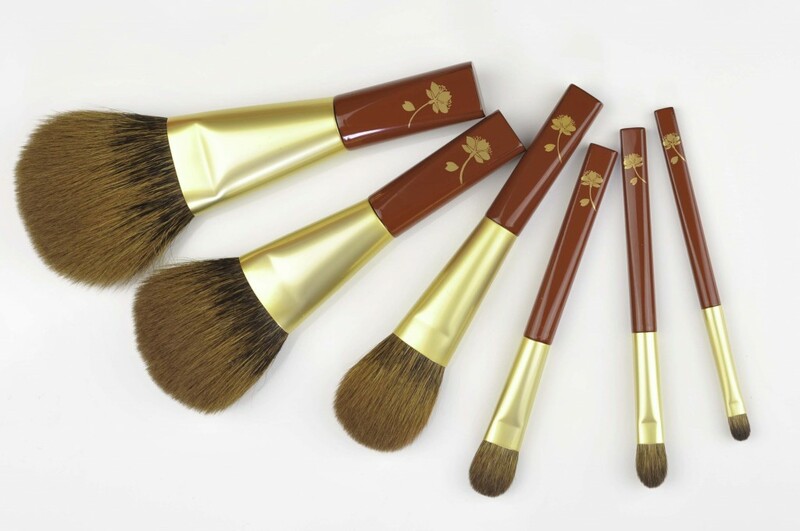 Like these kashoen royal brushes. I’m totally with you !! I was so so tired of waiting for an answer from koyudo that i couldnt resist when you wrote that you like the canadian hair from your Kiwami. I’m your opinion when it comes to their efficiently and now since i have them i also like their hair color this caramel looks nice. Yes they are not as soft as grey or red squirrel, but the Eye brushes from the Set are softer than the face brushes because the hair tip seems different in color (more brown, different area). The handles are more my taste than Kiwami at moment and they are more beautiful when you see them in person. though they seem not that “perfect sleek” ( Sonia I think you know what I mean) like the Kiwami I think. Since the blush brush was (will again) avail separatly, which I was looking for at first, I don’t regret that I paid so much. You get this box that you be enough reason or not ?? I want to know more about the set too and I hope to get some more info, at least when I am over there. and thank you for the link!! interesting! Did you also hve both Kiwami and Echizen? Hahaha no no it sounds like that huh ? 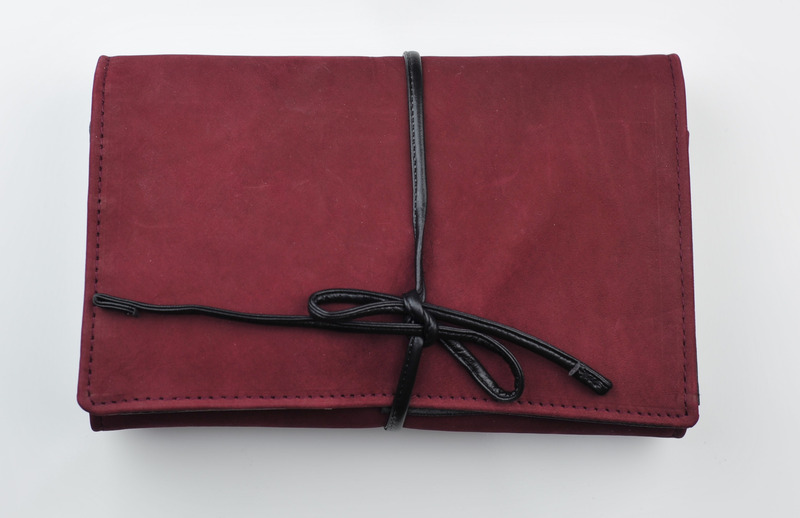 I only mean that i prefer the red handles to the kimawi from what is saw in the pics from them. I saw the mackie as well!! Super expensive and a real collector’s item. I wish you get that as well. Omg, I wish I had enough money for one, let alone both!!! That would take me right to brush heaven! Oh my… so so beautiful it hurts! I am smitten by both of these sets, they are both so different and special that I personally can understand where the prices come from. I find the Kiwami more aligned with my aesthetic preferences,but I would probably die of happiness with either, no joke! hahaha. If only I could buy the Kiwami without the huge brush, which on its own is probably $400 (this is roughly what the P-8 -which looks almost the same- costs currently), I might even consider it… but even still it is madness for my student budget right now. 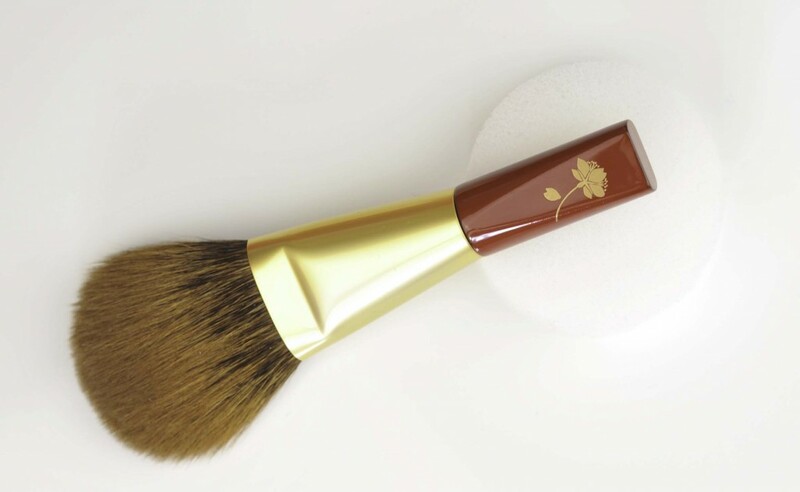 The cheek brush is really all I “need”, so I am hoping and praying like a little girl that I can get the second release, or I will be beyond heartbroken. Talk about #firstworldproblems, huh? yes that is right, the huge Kiwami brush must add in a big price tag on the set… it is smaller than the P-8 but still… probably super expensive on its own. the set is sold out already!! Sonia, thank you for your beautiful photos and review. 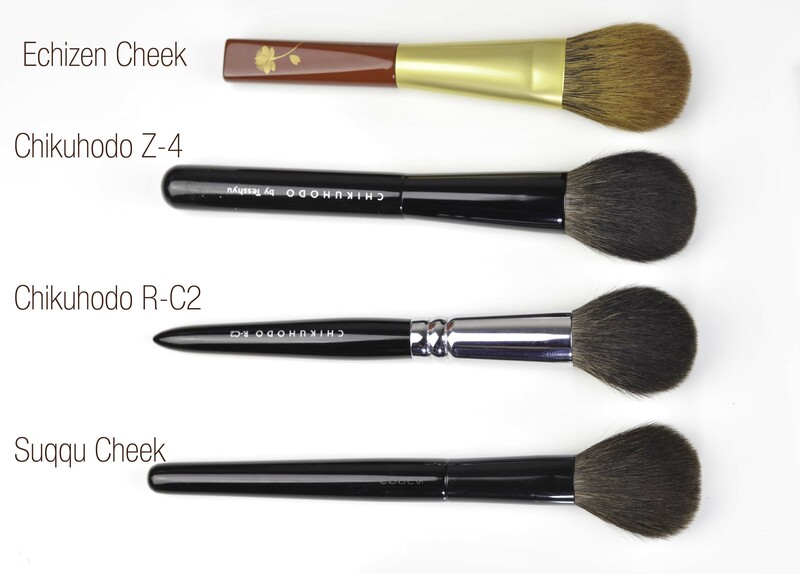 Sigh…these brushes are stunning, even more so as a set. And to think that they perform so well! 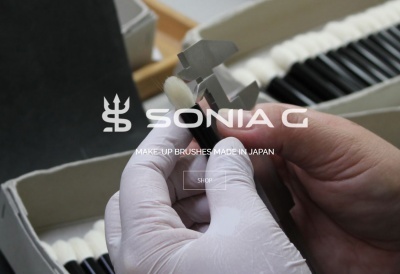 Oh Sonia – thank you for sharing these exquisite brushes!!! They are indeed individual works of art. So beautiful!!!!! I can only imagine how soft they are!!!!! 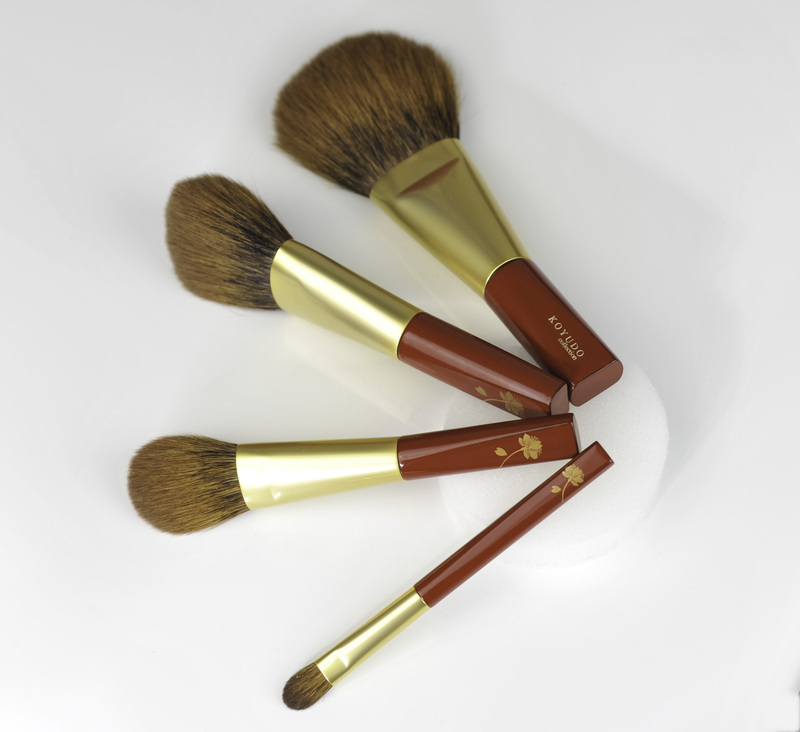 A lovely review for a beautiful set of brushes, excellent job again Sonia. I hope my Canadian squirrel cheek brush is as nice as the one from your set. 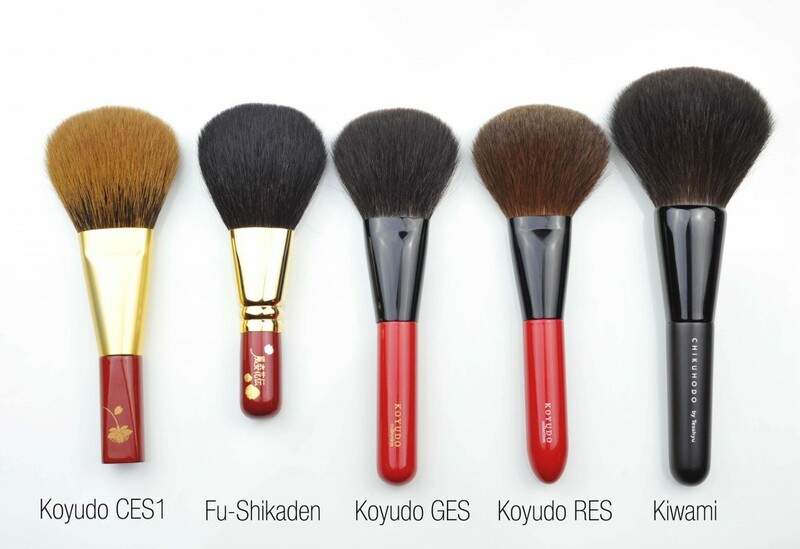 Maybe Koyudo has seen what big brush fiends we are from the release of the Canadian cheek brush and will offer more limited/special releases for us. Thank you Devin 🙂 yes they actually listen to us and try to help, they find you are all amazing and have a lot of respect, you don’t even imagine how happy and proud it makes them feel ! Thank you for another mouthwatering review Sonia! One question though, is it difficult handling these brushes? I have both Kiwami and Echizen brush sets and I have to declare that it’s entirely Sonia’s fault that I have both! At least in the case of the Kiwami I can say that I was lusting after it for a very long time after seeing it on the Chikuhodo website and then I ready Sonia’s review on it 100 times so at least that was a considered purchase. But with the Echizen, once I saw it I bought it straight away without any reviews at all! I did see Sonia’s detailed pictures on the SMT forum but apart from that it was a complete and utter impulse purchase. Sometimes I scare myself with the way I’m able to spend so much money in one go but after owning both sets for the past few months, I can say without hesitation that there is no way that I would ever ever every choose between them because I NEED both equally!! 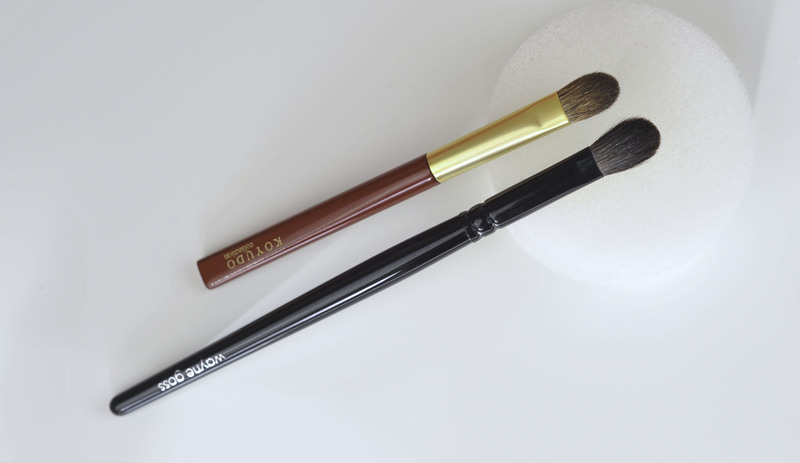 My thoughts pretty much reflect your review, in that I love how efficient Canadian Squirrel hair brushes are, the way they blend powder colour products is so efficient and they are perfect for building up application in a controlled way. I also don’t use the largest face brush in the Echizen set very much, and prefer the second size brush for my powder application but I’ve noticed that the large flat finishing brush is a standard style in Japanese brush lines. The density of the hairs in both sets are what I love and because of that I haven’t been tempted by the Takeda brushes, they just look a bit thin for my liking. I will take your advice and refrain from washing them too often to try and preserve their life. Unlike some brushes which I buy mostly for collector value and because they’re cute (*Koyudo cactus brush! *) I’ve been using both Kiwami and Echizen brushes regularly and would HATE to be without them now. No Bora!!! Don’t say that because you are only encouraging our entirely materialistic, over-the-top, utterly ridiculous spending…. When you start using them, it’s difficult to stop, when I received the Kiwami I had to force myself at first to not grab it automatically!! 😀 but I have so many wonderful brushes that it’s ok, I really can’t complain!!! HOHOHO, this set looks amazing ! ( but I will skip this one for now). I just ordered Chikuhodo brushes from Japan and I think I would enjoy that for a while. 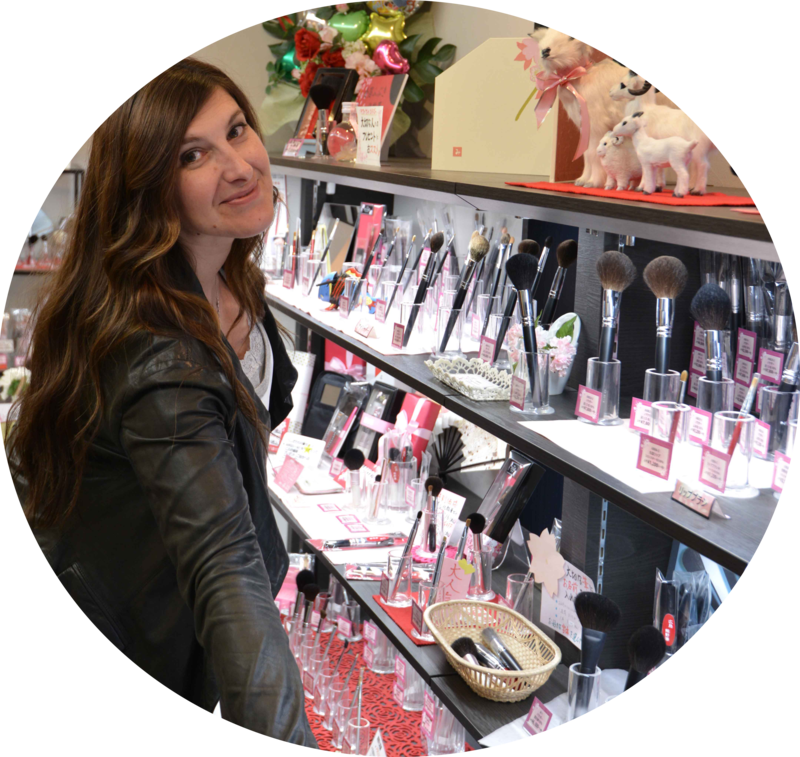 I also wanna visit Japan soon, perhaps I should visit my family and friends in Taiwan first and then reroute to Japan…..
Hi Sonia, I’m a fanatic of your blog and brush lover. 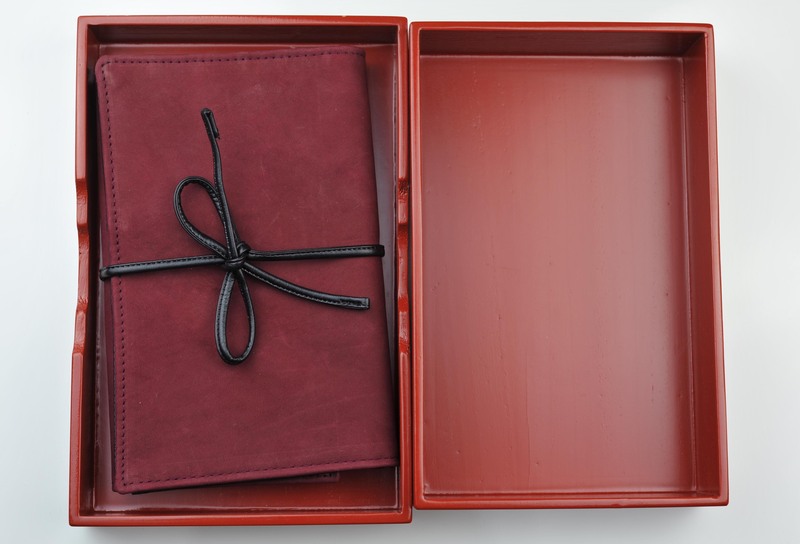 I’m obsessed with the Kiwami set wich appears to be no longer on sale ( now-eproject). Do you have some information about it? Thanks in advance! you are looking for it to purchase it or do you want other info? Hi Sonia, I want to purchase it. I was hoping to be able to do it at the end of the year. Hi Sonia! 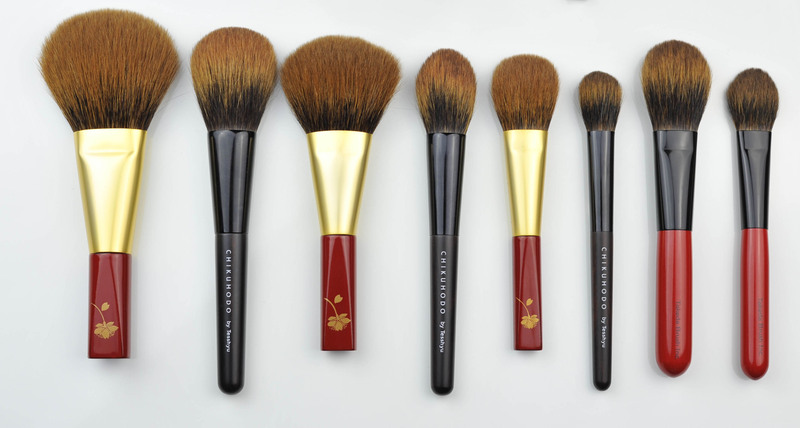 – I’ve been reading your blog, and would love to be able to purchase some of the Chikuhodo brushes from their website, but its in Japanese, how are you and other people from U.S.A. buying from their website? Hi Again Sonia! – I forgot to ask you where do you purchase that big Kiwami brush with the black handle, that you show in the picture above? Exactly a comparison I need. I have managed to get hold of the Echizen set a month back, but I simply love it too much to use it… Hmmm, I think I may give the Kiwami set a miss (if it’s available for sale) cos I the Echizen brushes are far thicker than the Kiwami ones and it’s cuter. For now, I can be at peace with myself with my choice though I had been eyeing the Kiwami set far longer… Recall my test experience with the Echizen eyebrush a year back… The result from its application was so much like one from Shu’s sable/kolinsky application. Don’t you think so? I want toen order An canadian sqirrel blush brushes grom koyudo. 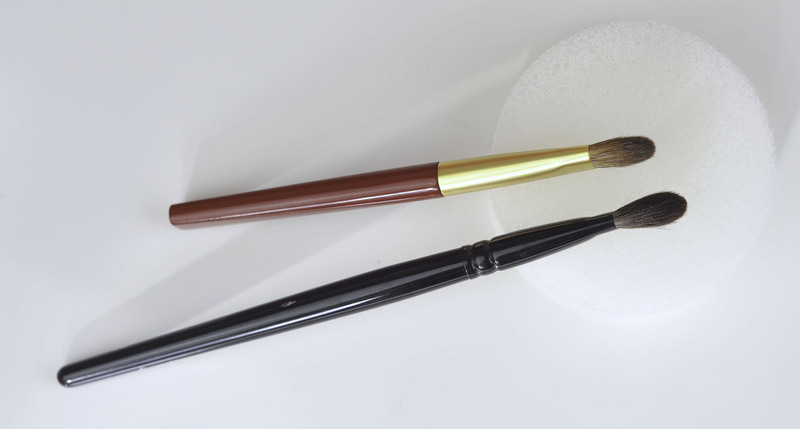 There are one like above without round handle and one with longer handle and lip brush. Wich one do you recommand ? The head of the one with lip brush is 3 mm thicker said the descriptiom is that better? I like toch hear from you.